The “My PhotoBooks” are digitally printed with the utmost of care. To keep your PhotoBook in a good condition, please keep away from heat and/or high temperatures, direct sunlight, water or damp conditions. For the most durable and professional look, choose the satin finish. 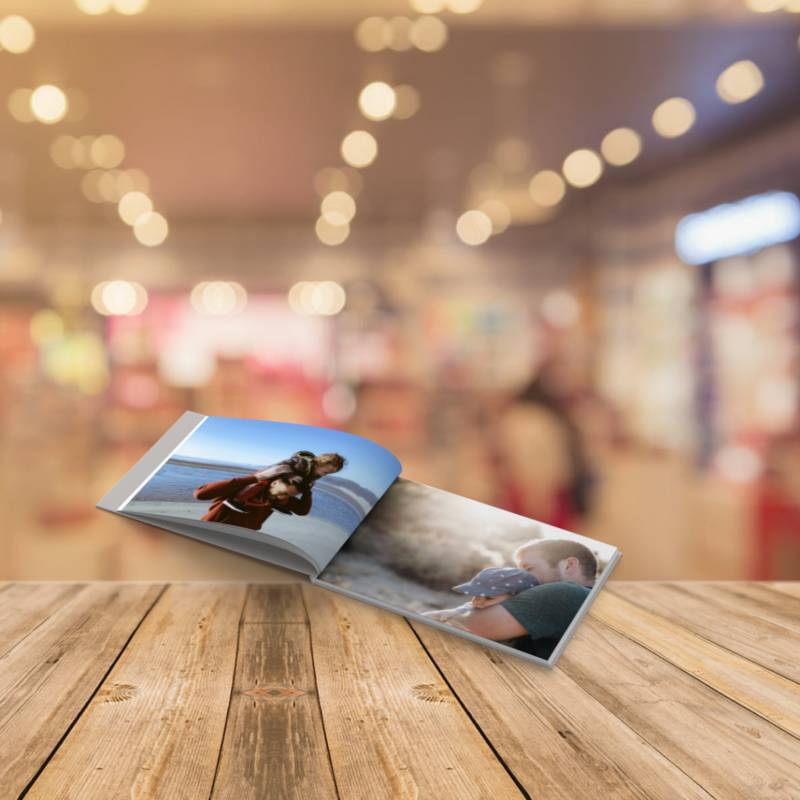 With different size albums to choose from you can pick the style best suited to your photos and budget. 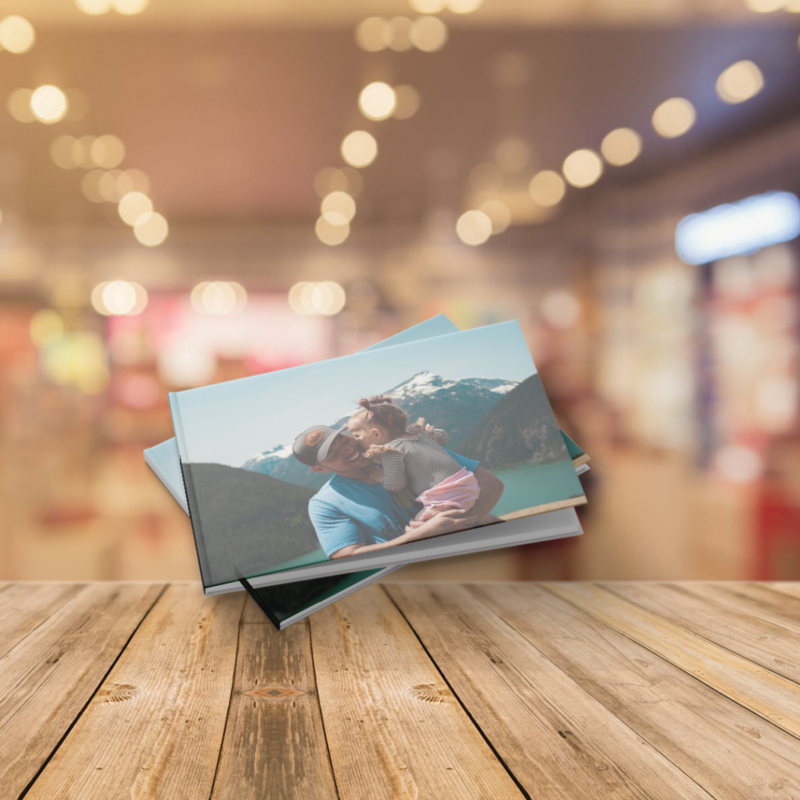 Because of the variety of layouts offered, you can now create a photo album that captures the essence of every event and emotion down to the last element. The unique software is so flexible that it allows elements to be added or moved around the page. Special effects can be added on your picture boxes or photos. Text, for example, captions and headings, can be included giving the final personal touch to your photo creation. Choose between hard and soft cover PhotoBooks. Choose between Luxury Cover and Standard Cover Photobooks. Choose from Matt or Varnished pages. Your hardcover album is printed on a 170gsm matt paper and then bound on the side and put into the case bound book ensuring your album will be cherished for years to come. Softcover albums are printed using 170gsm matt paper with a 200gsm cover that has a glossy varnished cover giving you a wonderful professional photo finish. Weddings, Family events, Baby years, Christenings, Birthday events, 21st’s, Anniversaries, Holidays, Parties, Special occasions, School events, Sports events, Team Building Weekends, Corporate Events, Pet memories, …in actual fact any occasion where pictures have been taken!! !